Everyone assumes that Christmas is a really busy season for us, and it is, but we need our elves in May as well. The first weekend in May is the Kentucky Derby. 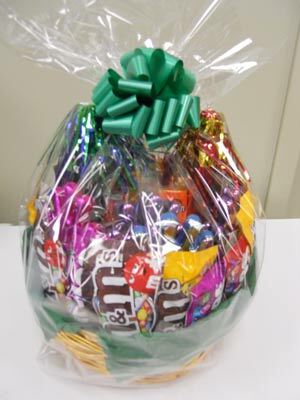 Our derby baskets are the BEST - stocked with Kentucky Proud products including Bourbon Balls! So grab your Derby hat and come on in - don't have a hat - we will make you one! 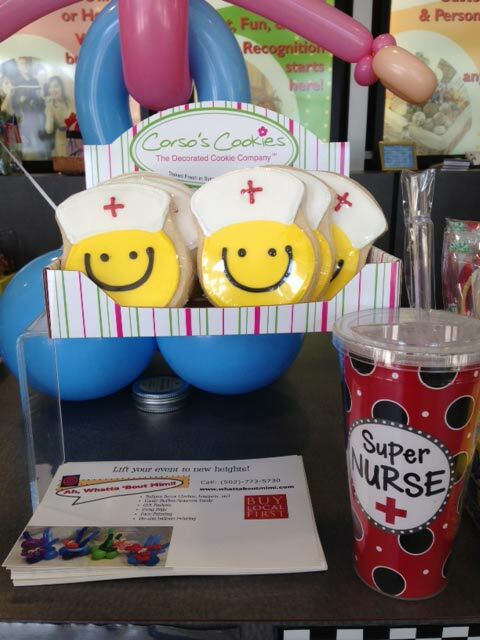 Immediately following Derby, we will be preparing for Nurse's Day and Mother's Day! 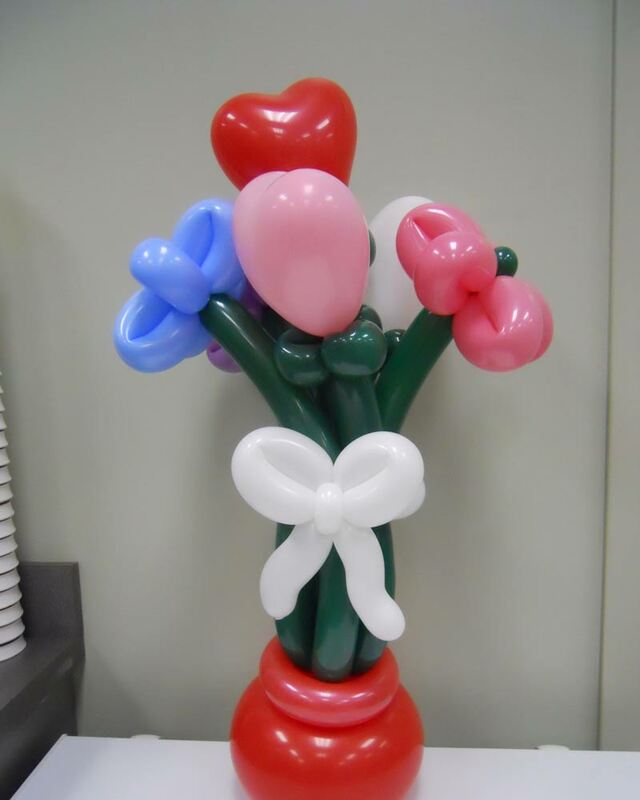 We have unique gift ideas, flowers and balloons. Immediately following the week of Nurses and Moms, here come the proms and graduations. 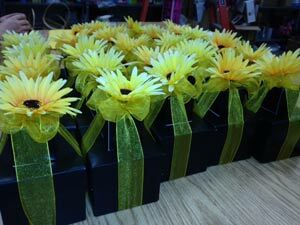 Our decor packages are awesome as we customize for any prom theme or graduation party. 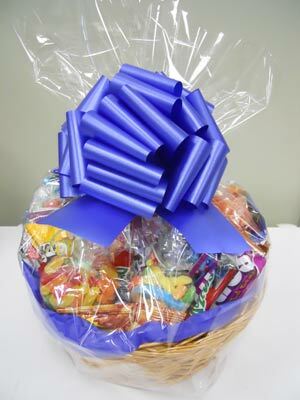 And don't forget the candy buffet for your graduation party - all color coordinated for your school's colors. 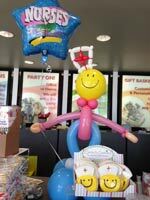 Graduation gifts are A+ at Mimi's - flowers, balloons, gift baskets and candy bouquets! Graduates may want to thank a special teacher with a cool gift. 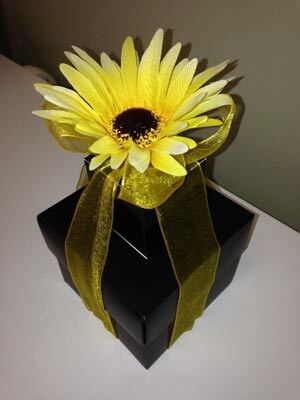 we have lots of new teacher gifts to choose from this year, so come in and check them out. Oh yeah and on May 31st it will be only 238 shopping days until Christmas! Whew! Preparing for Valentine's Day can be very challenging. 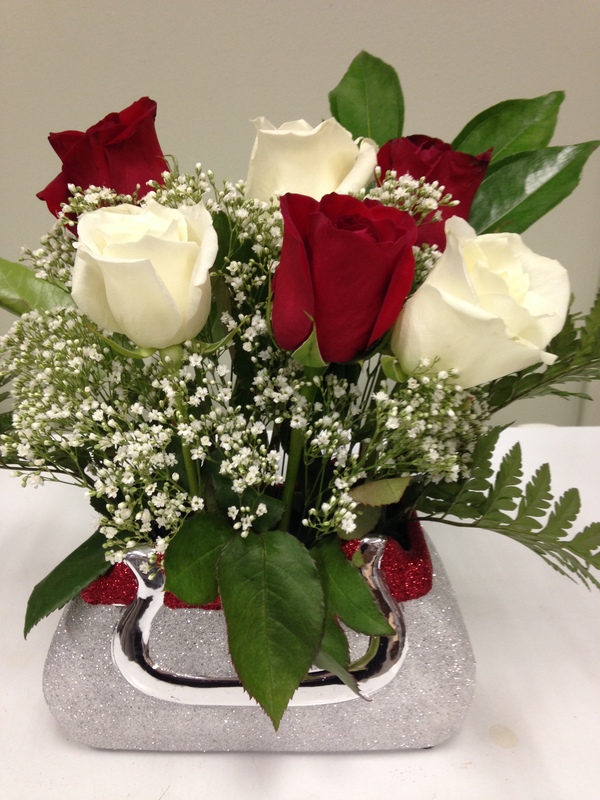 Flowers have to be ordered over a month in advance to secure availability. We order the top quality long-stem roses and plan to have floral bouquets that feature not only roses, but also, lilies, daises (my favorite), carnations, delistars, alstromeria, snapdragons, cremones, spider mums...well you get the picture. 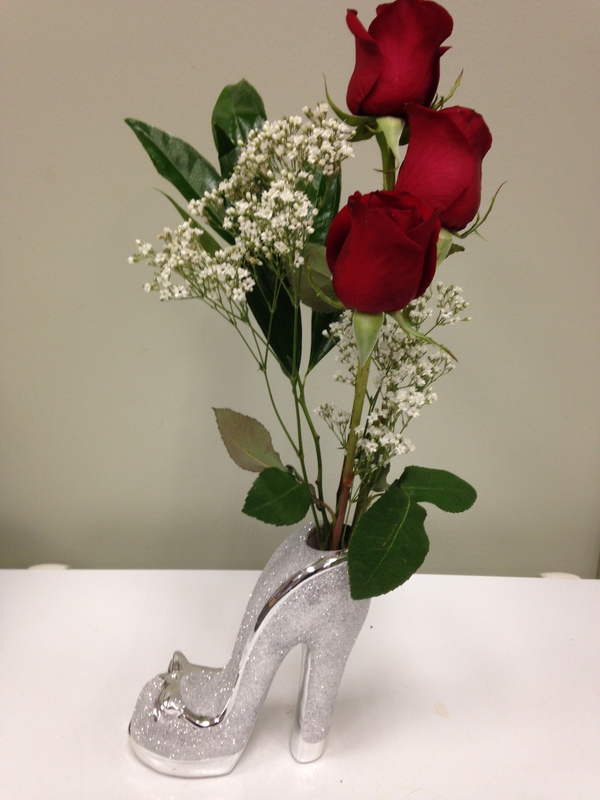 We found some awesome vases that are so diva, I know we will sell out of them. 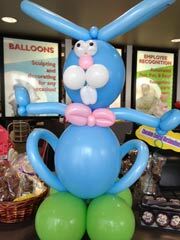 The balloon sculptures are always so fun planning and putting together new ideas. 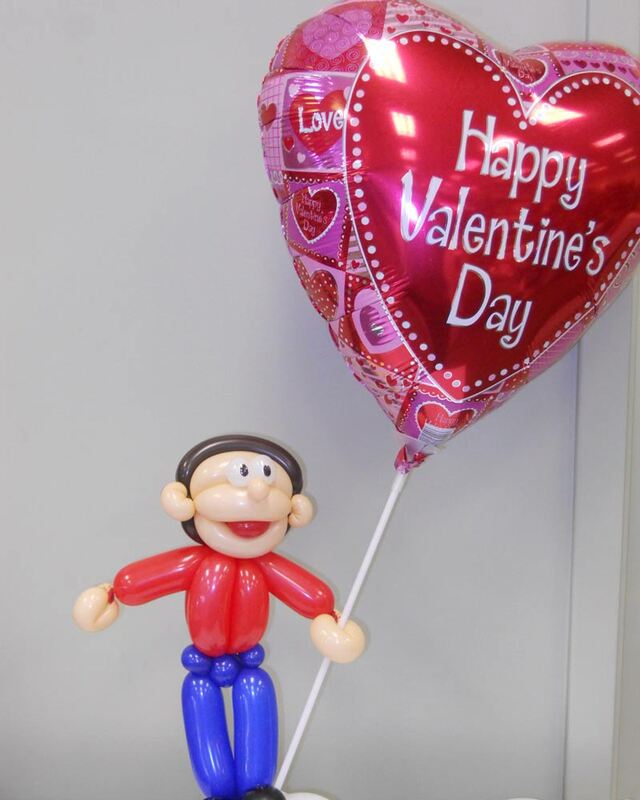 The ballowers and loodles are super popular every year. 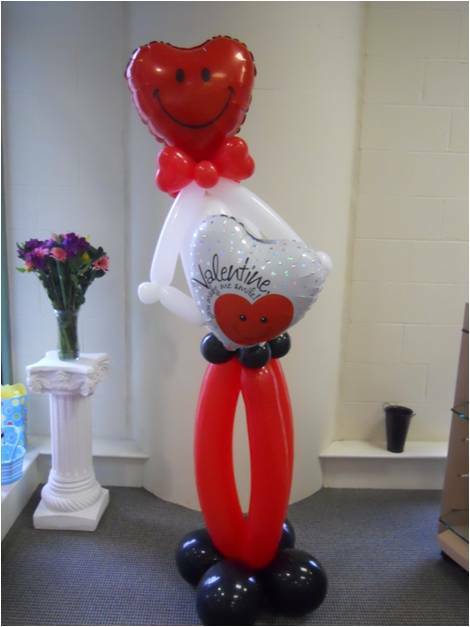 And the lifesize balloon men fly out the door as quickly as we can create them! 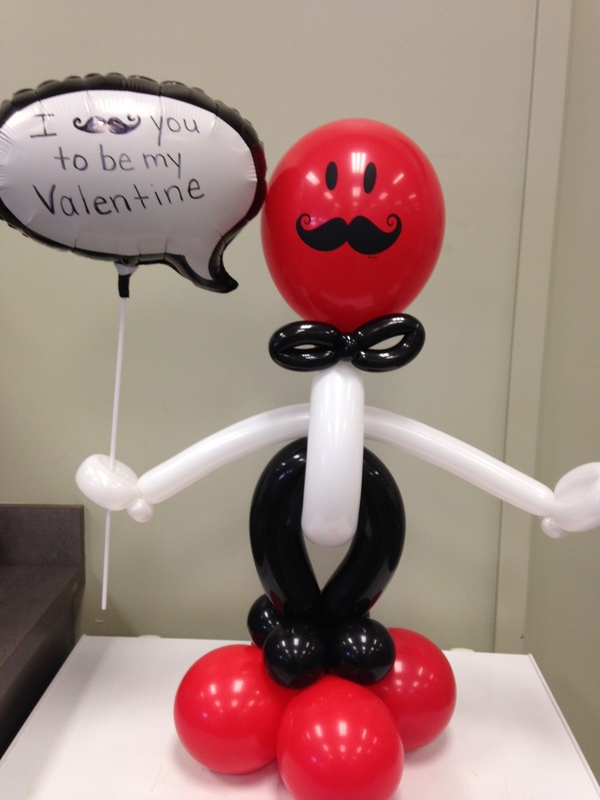 This year we are adding some fun balloon animals - everyone has their favorite and this little guy who just says, "I moustache you to be my Valentine!" Reserve this one early! 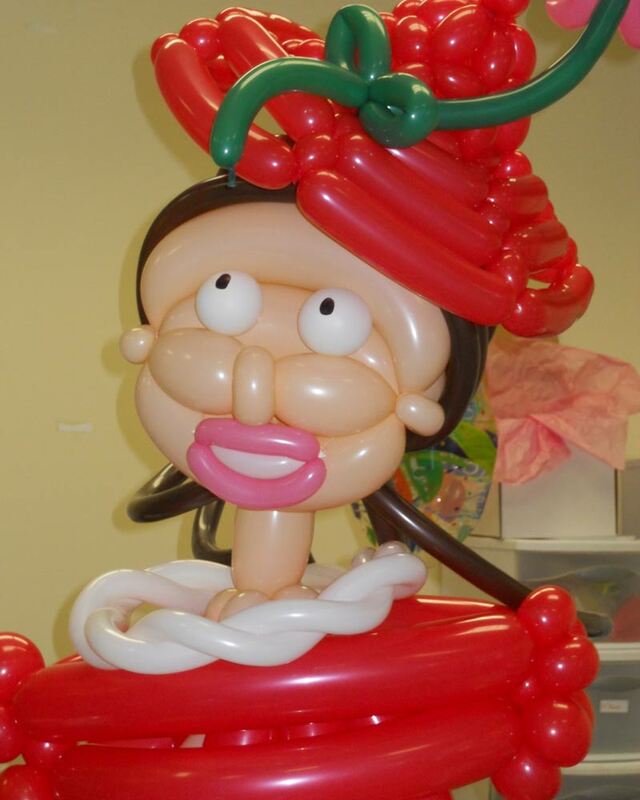 The balloon animals will be a fun addition. We will have horses, monkeys, tigers, zebras, giraffes, and pigs. They will all be WILD about you! 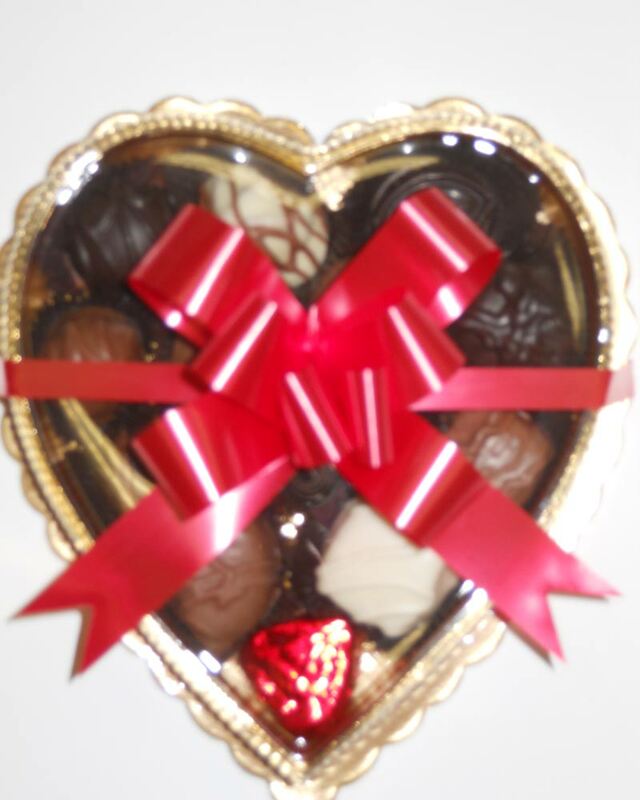 Our gourmet chocolates have always exceeded the floral and balloon sales, so we may have saved the best for last. This is the first year we will have our over-sized truffles. These are amazing - big enough to share but so good, who wants to? 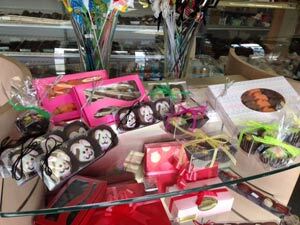 So don't forget in addition to Jelly Bellys, popcorn, and cookies, we have the most amazing hand-dipped chocolates in Louisville. 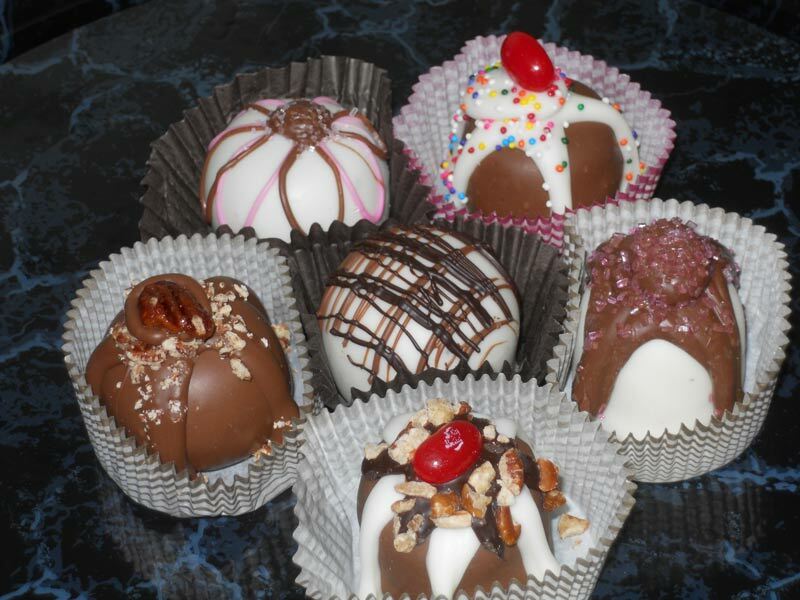 Pick your favorites to create the perfect assortment for your sweeties. 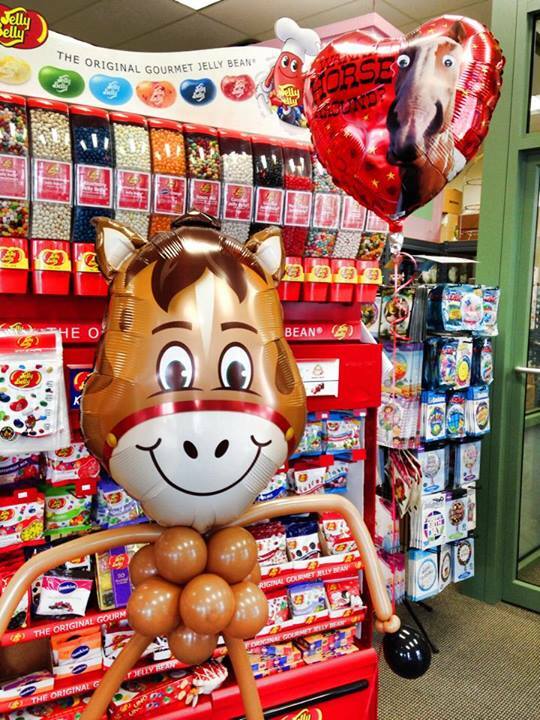 There you have it...flowers, balloons and candy - we gotcha covered this Valentines Day! 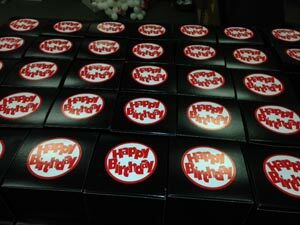 We are already taking orders for delivery in the Louisville and Southern Indiana areas. Candy can be shipped anywhere in the US! 502-583-4933 Happy Valentines Day! Add a balloon drop and a few balloon columns - (save the boobie trees) and the Hard Rock was looking Pretty In Pink!